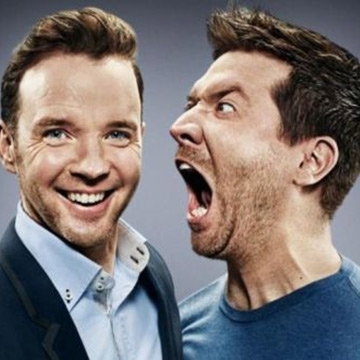 Dermot & Dave - Having toured to full houses all over Ireland in 2016 and 2017, the radio duo once again bring their bonkers comedy antics to a stage near you in 2019! When asked what people can expect from their new stand up show, neither of them actually answered the call but their message minder said, “”Hi, you’ve reached Dermot and Dave and we can’t take your call right now but the show is going to be amazing. We sing, we dance, we take our tops off. And there’s even more craic and lunacy than last time.